16 Photos San Francisco Brewing Co.
One of your duties as a resident of this city is to roll out the red carpet (read: do touristy stuff) for visiting dignitaries (read: your family). Hit up the Golden Gate Bridge. Brace yourself for Fisherman's Wharf and Ghirardelli Square. 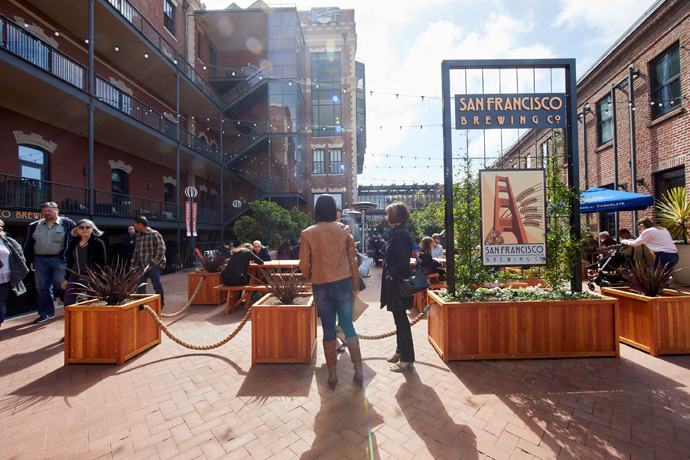 Realize that Ghirardelli Square is now home to a huge new brewery and beer garden that you'll probably go back to sans family once you realize the sheer importance of it. 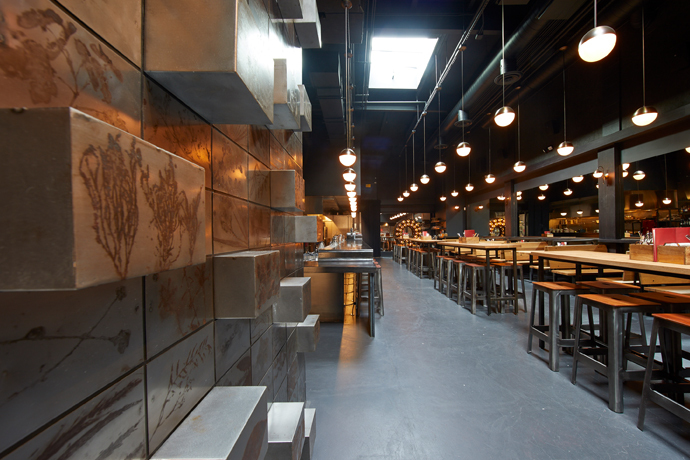 We speak of San Francisco Brewing Co.'s shiny new restaurant, brewery and beer garden that's now open looking like this. You and a group of intrepid explorers on a search for the elusive San Francisco beer garden will venture to this 12,000-square-foot space and grab a quick peek of the brewery before getting down to business. 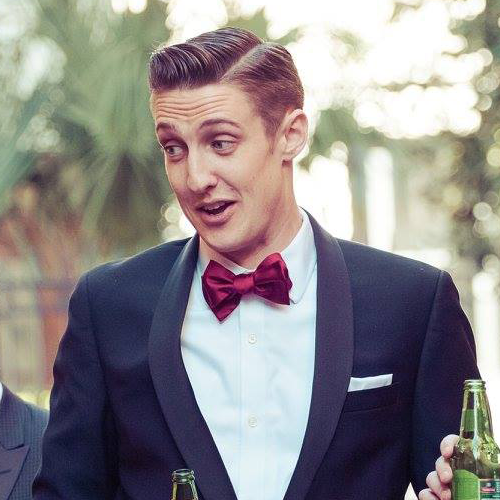 The business, naturally, of beer. You'll order one of the "Core" brews like an Alcatraz Amber or Marina Blonde Ale, or purchase a prepaid card and head to the self-service taps to pour your own. Nothing like the satisfaction of a DIY beer project. Then, you'll grab a spot in the beer garden next to one of the fire pits and summon some shareable pub food like calamari with lemon caper sauce and a caramelized-onion-and-mushroom pizza. Oh, and if you're looking for variety, they have a full bar with cocktails, plus foosball and ping-pong tables. In case you needed to hear more than "beer garden."